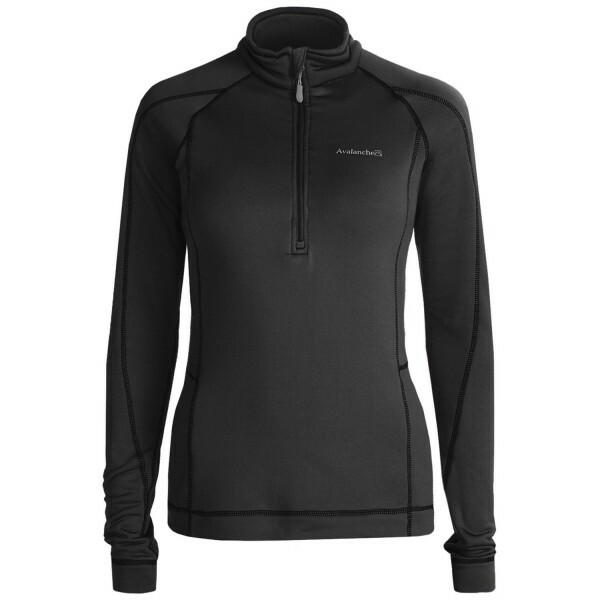 The Mogul ¼ Zip is our best active top for layering. It provides superior four way stretch and a body hugging fit, so it will not restrict your body’s natural range of motion. It also wicks moisture, resists wind and does not restrict the movement of your body’s moisture vapor, therefore we consider it highly breathable. The 10” zipper helps for easy on and off, and it also allows for venting once your body temperature starts to rise. Smooth exterior facing helps when you’re sliding layers over, and the brushed fleecy interior will prevent your body heat from escaping, keeping you cozy and warm. Bust 32-34" 35-36.5" 37-39.5" 40.5-43"